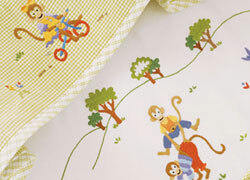 The Monkey Business snuggle sack by Gordsonbury is a great addition to this charming collection. 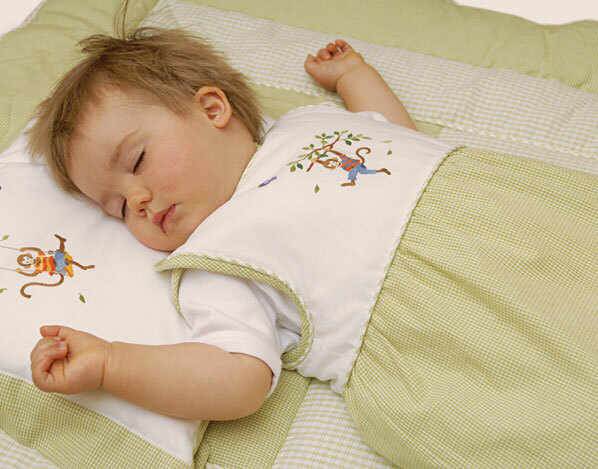 The sack which works for infants from birth to one year, coordinates with the Monkey Business crib bedding. 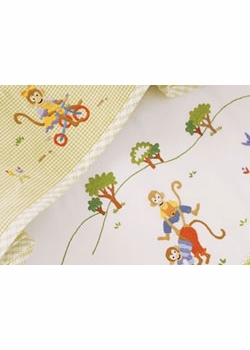 Hand embroidered with the charming playful monkey motif, it is soft and comfortable. Makes a great gift.